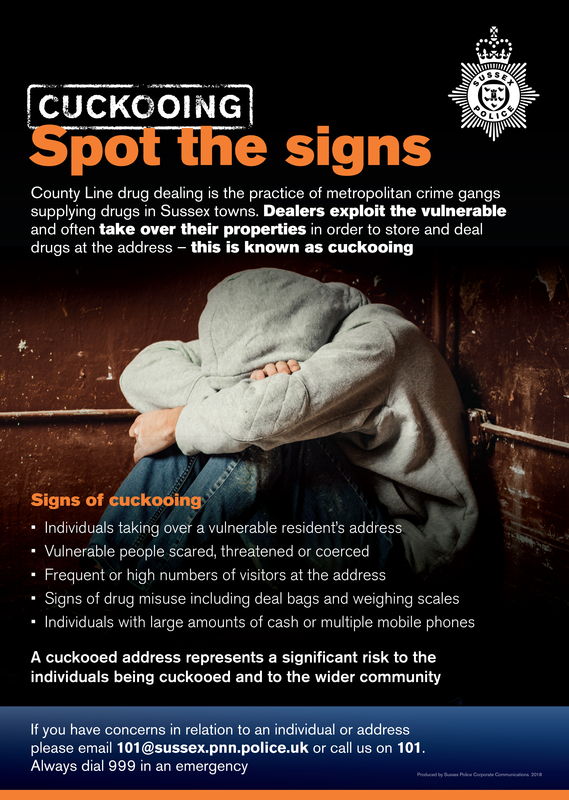 Criminal gangs are targeting the homes of vulnerable people to be used for drug dealing – a process known as “cuckooing” (after the bird that invades other bird’s nests) and victims are often left with little choice but to cooperate. Dealers often approach the vulnerable person offering free drugs to use their home for dealing or in some instances after providing ‘free’ drugs, will then force the person to deal for them in order to ‘re-pay’ their drug debts. These criminals are selective about who they target, a lot of the time victims are lonely, isolated, frequently drug users themselves and are already known to the police. 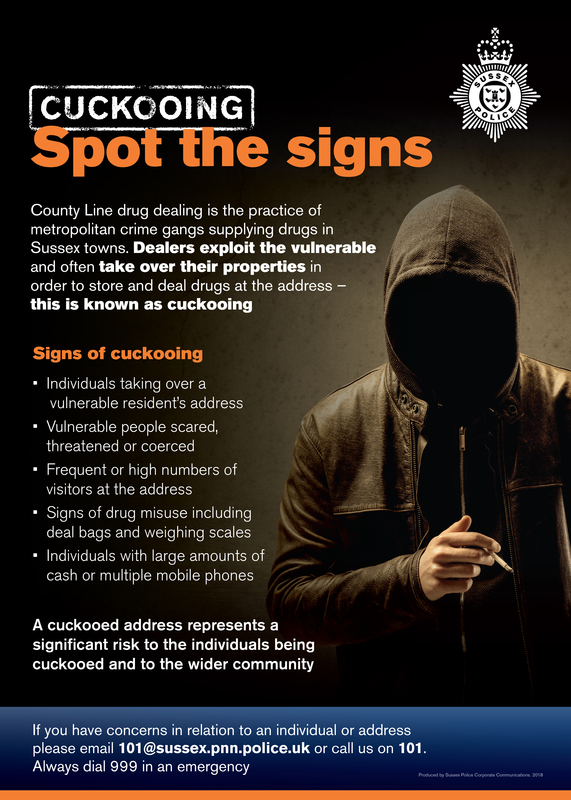 “Cuckooing” means the criminals can operate from a property rather than the street, which is out of sight from the police making it an attractive option. They can then use the premises to deal drugs from, which is difficult for the police to monitor and they often will only stay for a short period of time. What to do if you suspect a property is being ‘cuckooed’? 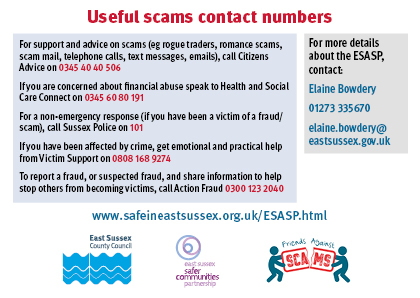 Call Sussex Police on 101 or 999 in an emergency to report drug-related information. If you don’t want to speak to the police directly, you can call the anonymous Crimestoppers charity on 0800 555 111. Please click on the the respective images below to download cuckooing information leaflets for members of the public and/or professionals.